Glo Minerals Alloy Eyes Palette! I have sort of put myself on an eye shadow buying ban. While I love eye shadow, I have more shadows than I have eye balls to wear them. I own more palettes than any girl should own and have officially run out of room for storage. And the funny thing is that I don’t really wear eye shadow on a daily basis (or at least not during the spring and summer). But when I saw the Glo Minerals Alloy Metals Palette, I had a mini panic attack at the thought of not owning it. I was sucked in by the beautiful neutral shades and the fact that half the palette is matte! One thing that drives me nuts about makeup palettes is that most only have a few matte shades. So the fact that 4 out of the 8 shades are matte meant that I NEEDED this in my life. 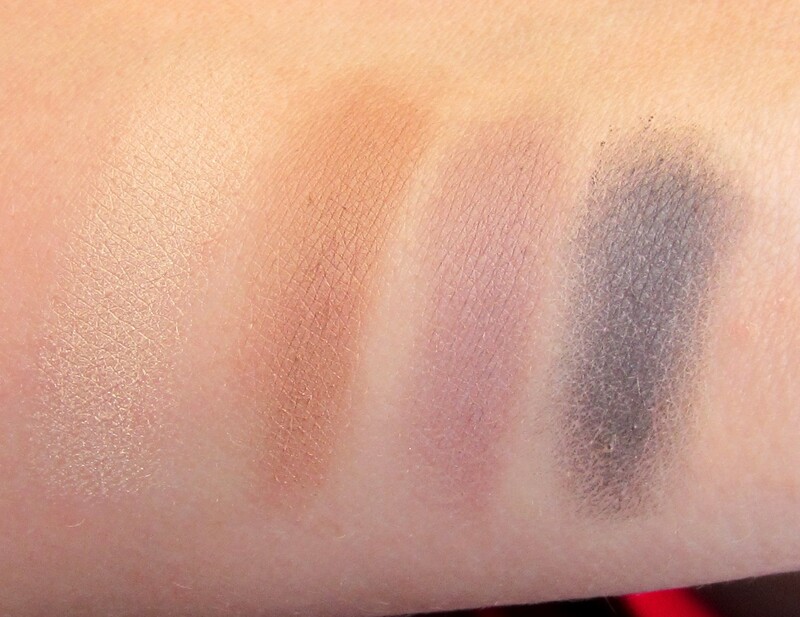 Keep reading to see swatches and my full review! The first thing I want to comment on is the packaging. If I was going to make a palette, this would be exactly how I would design the packaging. It is a sleek, black plastic case that is really sturdy. The case closes securely and has a huge mirror. The hinges are a little tighter, which allows you to open the palette and have the mirror stand on its own. I absolutely love that! I like that I can put the palette on a counter and half both hands free to apply product but still be able to use the mirror. What I like: Obviously the matte shades. The buff color is the perfect brow highlight! That is one thing that is missing from a lot of palettes, as of the time the lightest shade in a palette is a shimmer or frost finish. So having a matte highlight color is like a god-send. Also, I like that this is an overall cooler tone palette. I mostly have warm browns but it’s really nice to find a palette that is almost all cool toned. What I don’t like: While these are pigmented, they don’t transfer to the eye that well. The colors seem lighter, almost sheer when I apply them to my eye. Swatching them on my fingers, I’m blow away but the minute I try to put them on my eye they seem almost faded. 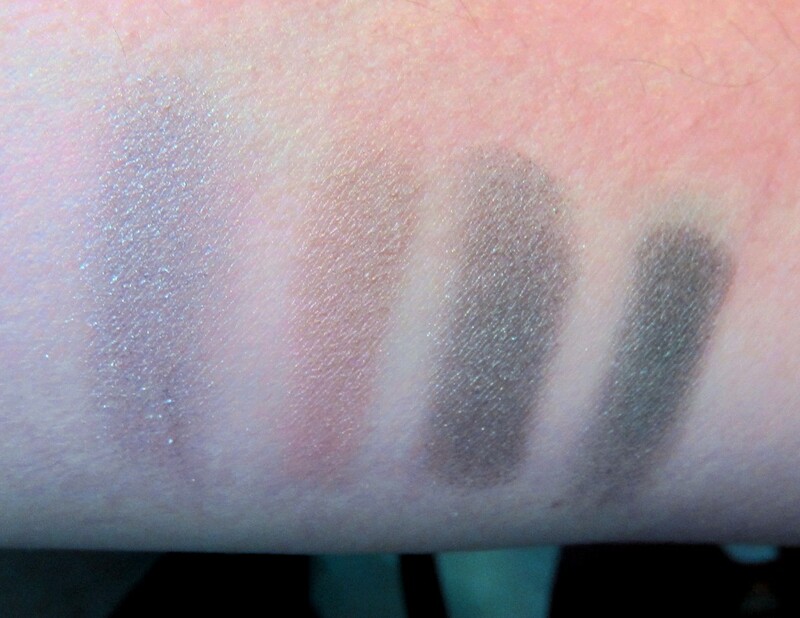 If I put extra shadow on, it does reach the same opacity as you see in the pan but it increases application time. Overall, I like this palette, but don’t love it. I wish the colors came off more pigmented on my eye. While I can still get a great look and I love some of the colors, it takes a little more time to get the look that I want. To see me using this palette, you can check out the “Chit Chat Get Ready With Me” video! I use it to crease a work appropriate eye with a bright pop of color. 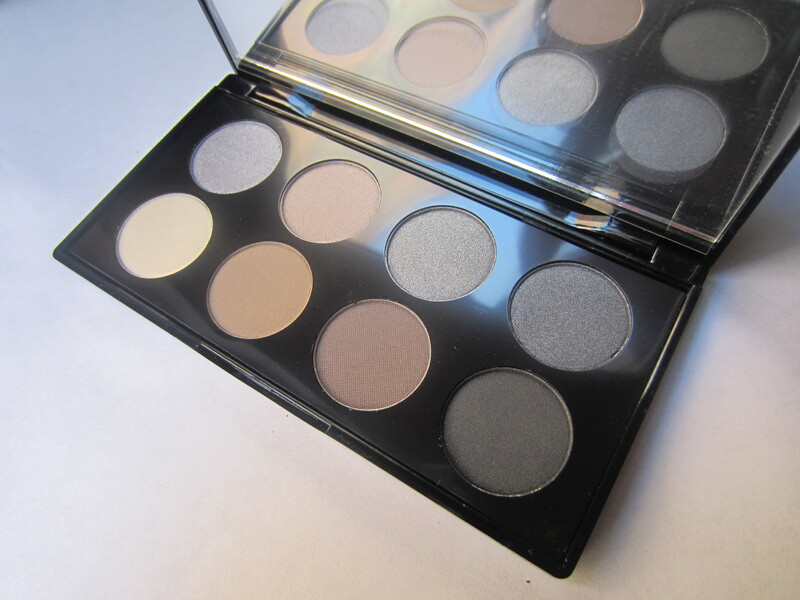 Enjoy the convenience and versatility of Ben Nye’s eight color, refillable essential eye shadow palette. Sleek, light, yet durable fiberboard case has secure magnetic closure.